So Disney is making a sequel to TRON. Something came to mind after I found out about this and I've been thinking about it a lot. If you live in California like I do and go Disneyland every so often you'll notice that they are always changing the attractions, especially to coincide with new movies. Disneyland used to have an arcade called the Starcade. It was two stories and crammed full of classic arcade games from the 1980's and 1990's with pinball games and air hockey upstairs. I mean lots of games. It was a great arcade and one of my favorites. The first place I saw Street Fighter Alpha was upstairs at the Starcade. 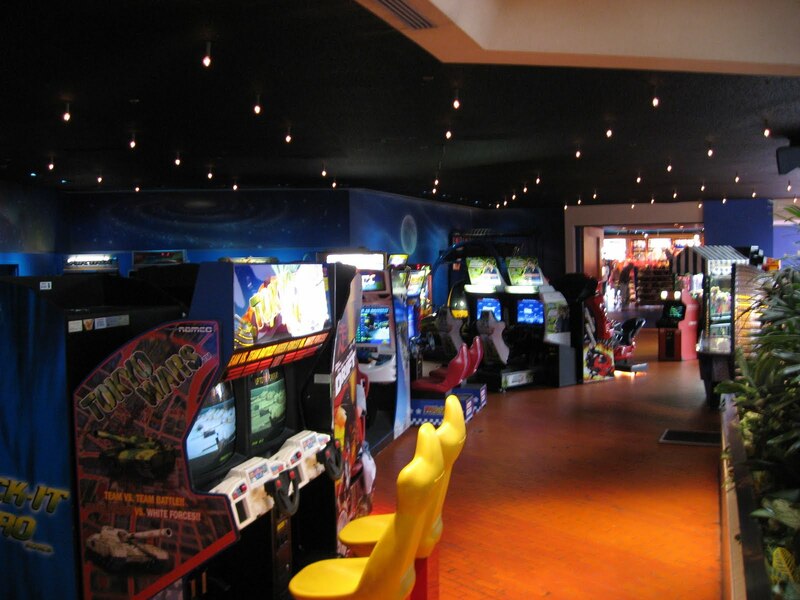 Now I can't find any pictures of what the Starcade used to look like for some reason.....but i can tell you what it looks like now...a bunch of overpriced, crappy, gigantic deluxe games...and a bunch of UFO catchers that don't even have Disney prizes in them. I don't know who is running the "arcade" now but it really is a travesty. It's also only on the first floor....and where are the pinball games? Ugh that's absolutely pathetic. The only good part of this arcade is the Neo-Geo cabaret machine that is sitting right by the entrance..see it? Notice how there is not a person to be seen? That's because NO ONE WANTS TO SPEND A DOLLAR TO PLAY SOME CRAPPY, UGLY DELUXE GAME. Ok that's the end of my rant. 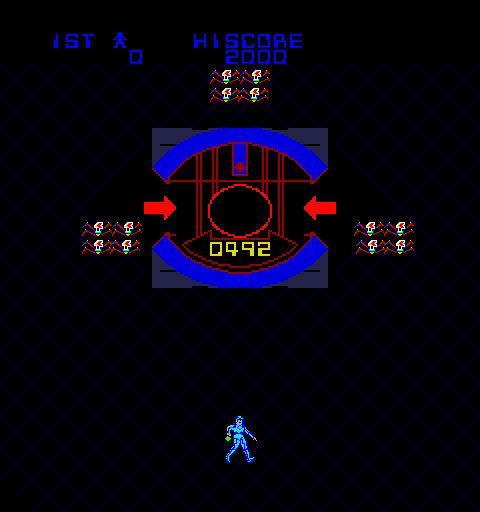 So to coincide with the Tron Legacy movie, Disney is doing something to the starcade, but no one is quite sure what yet. 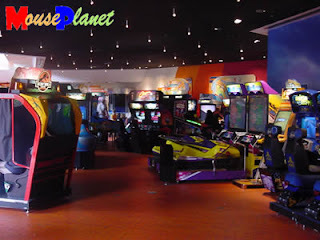 Disneyland is in the unique position of having the capital and resources to make the best arcade in California, I don't know why they don't do it. If they remodeled that whole area to look like an actual vintage arcade, but on a giant scale like it used to be....most people haven't seen an arcade in a decade or more. Some kids have NEVER seen a real arcade. I think it would be really popular. If they would only do it right. In conclusion...The TRON Legacy movie is going to be awesome and Daft Punk is even doing the music. I hope they rebuild that arcade, I have the feeling they are going to put some kind of TRON lightcycle ride upstairs, but they aren't going to be able to pull that off with that ridiculous nightmare of an "arcade" downstairs. So here's to a new Starcade in 2010! 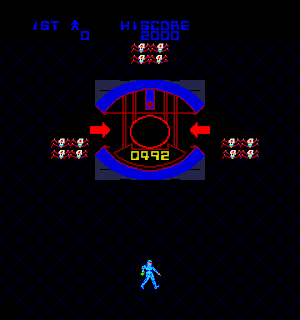 I figured out how to play games on MAME with analog dial controls, like Ikari Warriors, TRON, etc. Press TAB. go to player controls (this game) go down to where it says dial analog, select it with enter and press Esc to turn it off. Assign dial inc and dial dec to whatever keys you want to use. From the main menu go into analog controls and adjust dial digital speed to a managable level. Street Fighter X Tekken. I guess Capcom is making one version and Namco is making one version. 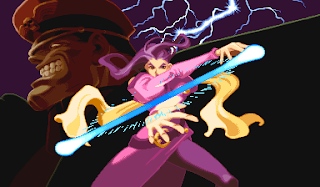 Like they did with Capcom Vs. SNK. While I'm a big fan of Capcom fighting games, I wasn't very impressed with Street Fighter 4. I like their games all hand drawn and spritey. I can't stand this move to 3D/Realism.